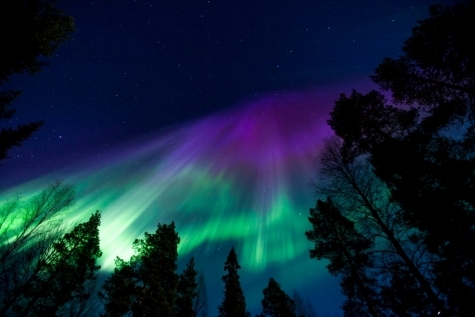 Self confessed Aurora addicts for over 10 years, Chris and Becki achieved notoriety when they shut up shop in England and spent 5 months in Lapland chasing the Aurora with their 4 children in a 7m long motorhome. 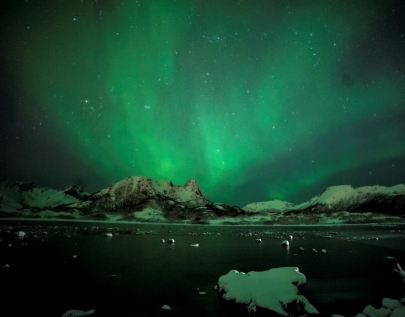 Unable to stay away, they returned to Norway, settling in Vesterålen, which was for them, the perfect location to satisfy their aurora addiction. It wasn’t long before visiting friends and family encouraged Chris & Becki to harness their enthusiasm, drive, love of Norway and the Aurora into a business. Their extensive knowledge meant that they wanted to be able to offer the sort of authentic experiences that they so enjoyed throughout their travels. This means that no group will have more than 8 guests and the tour is suitable for families, couples and groups of friends. A sighting of the Aurora is of course the goal, but Chris and Becki wanted to ensure that people also left with a glimpse of life in this remote wilderness. Incorporating stunning scenery, wildlife viewing and possible wild weather all contribute to making the journey just as exciting and where a Northern Lights display becomes the icing on the cake. Fly to Evenes (via Oslo). A lunchtime arrival will see you taking a local transfer to Sortland (pay locally). Alternatively should you choose the later flight (which arrives after 22.00), you will be met at the airport by a member of the Aurora team. Both options have their advantages, as the 2-hour journey offer a scenic introduction to the area and of course if it is dark, there is always the opportunity to spot the Aurora on your way.Check into your chosen accommodation and familiarise yourself with your surroundings. Enjoy breakfast. If you have not done so already, meet with Chris, your local guide, before departing on a drive along the picturesque west coast of Andøya. Designated a National Tourist Route, this is an area of outstanding natural beauty. There is the chance of seeing eagles, reindeer, moose, whales and dolphins and ample photographic opportunities, including Bleik Beach, one of Norway’s most scenic.On arrival in Andenes, visit Spaceship Aurora, an educational and activity centre showcasing the history and science behind the Northern Lights, as well as their impact on Norwegian culture. This interactive experience allows you to experience a virtual trip into space and take part in ‘scientific experiments’, illustrating day-to-day life in a Space Centre. Lunch is taken locally or bring a picnic lunch (own expense). Return to Sortland for dinner and prepare for the first of three Aurora chases. Chris will have been monitoring the Aurora forecasts throughout the afternoon and, at the appointed time, will head towards the area where the forecast is strongest. Ensure you wrap up warm as temperatures can drop significantly. If appropriate, a campfire will be lit and a marshmallow or two added whilst you wait for the dancing lights. If and when they do appear, it just completes the magical atmosphere. Chris is also on hand to give you tips on how to capture this natural phenomenon on your camera. Breakfast will be a welcome sight after last nights foray into the wilderness. Refuel before heading out along the coast to meet with a local wildlife and photography expert. 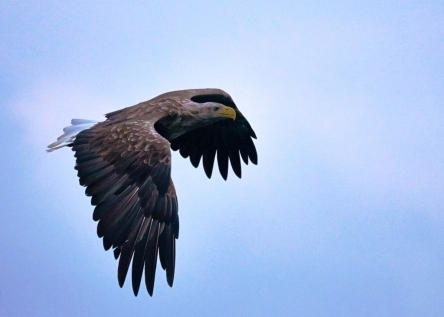 First, he will advise on how to get the best images of the white-tailed eagle, which is regularly spotted feeding in the area. After which, you will board his boat and sail into the heart of the archipelago and amongst the fjords in search of this magnificent bird and other fauna. Returning to the tiny harbour, enjoy a delicious lunch of the locally renowned fish soup and bread. Returning to Sortland, there will be a short time to relax before dinner and tonight’s Aurora quest. Changeable weather can mean travelling inland or remaining on the coast in order to try and witness this phenomenon, but you can be assured that Chris will do his utmost to locate this marvellous spectacle. Today’s excursion introduces you to the life of the Sami and includes a visit to a traditional working reindeer farm. Meet some of the four-legged residents, as well as the Inga’s, who continue the 150 year-old family tradition of raising reindeer. Their delight in presenting an authentic insight into the indigenous people of the region is all too apparent, when sharing the myths and magic that surrounds the Sami culture. The majority of the reindeer roam free until mid November, so if travelling before then, you will be treated to a short reindeer safari, heading out into the surrounding countryside, in order to locate the herd. A hearty and warm lunch will be served at the farm, gathered around an open campfire, in a traditional Lavvu and perhaps accompanied by a Joik. Return to Sortland for an afternoon of leisure, before dinner another Aurora encounter. Choose between two day excursions. The first is an 8 hour (150km) meander through many mountain passes, over fjords and alongside sometimes frozen lakes. 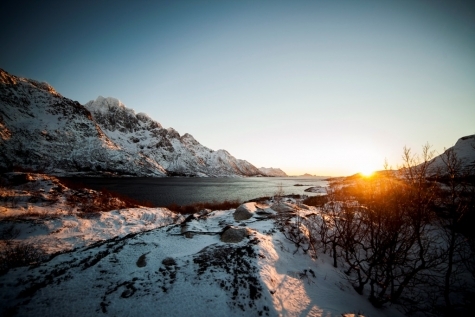 Lofoten is well-known for its breath-taking beauty and this trip will not disappoint, regardless of the weather. Travel as far as the tiny fishing village of Henningsvaer, perched out on a few small islands, held together by a handful of bridges. Steep mountains provide a dramatic backdrop to the colourful houses and harbour. Enjoy lunch in one of the local shops, visit Galleri Lofotens Hus (open til September) exhibiting some of northern Norway’s finest paintings, visit a fantastic photography gallery and walk around the harbour and surrounding area. The return journey back takes in yet more stunning photo opportunities along the way. Alternatively, you can choose to travel to Langøya and Nyksund. This is a very scenic journey to the deserted fishing town of Nyksund. During the winter months the hamlet’s population total’s 8 – including the town dog. Despite its remote location, the town emanates a magical presence and has become a mecca for photographers and artists. When walking along the wooden walkways and look out over the crashing rough sea you can’t fail but to be impressed. There is a possible lunch stop at Myre on the return journey available or bring a packed lunch. Returning to Sortland for dinner and your final Aurora encounter. We hope that by now you will have experienced the Northern Lights, but if they have remained elusive, you can be assured that Chris will explore every avenue, in an attempt to bring the aurora to you. We hope that the weather gods are listening and reward your efforts accordingly. Once again, you have a choice of return flights. The early departure includes a return transfer to the airport. If you wish to have a little longer in Sortland, then there are regular local bus transfers to the airport approximately 2-hours away (pay locally). Either way, you will return to the UK having experienced the hidden delights that this unique region has to offer. This property is a collection of seven fisherman style cabins located on the shoreline and enjoying marvellous views across the fjord and snow-capped mountains beyond. Each of Marit Asbjørnen’s simple cabins has two bedrooms, one bathroom, living room and kitchenette. Breakfast is delivered and taken in the cabin, whereas delicious homemade dinners are served in Marit’s casual Sjøhus Restaurant, just a few steps away. Outdoor hot tubs and sauna are also on hand for a unique fjord-side experience (charge applies). The Sortland Hotell has provided a welcome retreat and hospitality to guests for over 100 years. 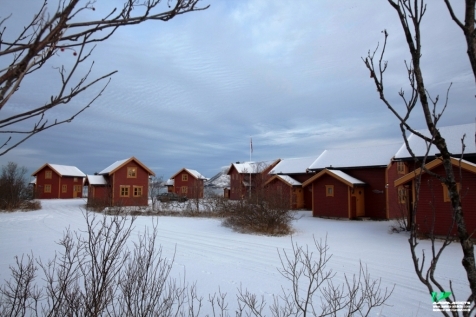 Surrounded by the Langøya fjords and mountains, the hotel is in the heart of Sortland, gateway to Vesterålen. Noted visitors to the hotel include the Nobel prize-winning author Knut Hamsun, who penned his book here in 1911. Rooms have been recently refurbished and offer a warm refuge from the outside elements. A typical Scandinavian décor is complemented by flat-screen TV’s, free Wi-Fi and a piece of original art from renowned local artist Tove Hov Jacobsen. The hotel’s restaurant is dedicated to celebrated local author Lars Saarbye Christensen. It offers a menu based on locally sourced product and seasonal produce, served in a dining room that plays homage to the Norwegian author’s literary life. A feather in the owner Harald’s cap is the complimentary tea, coffee and cake available throughout the day. From price based on 4 people sharing a cabin at Vesterålen Sjøhus on a half-board basis.